Can the Wii Fit Balance Board be Used as a Fall Risk Assessment Tool Among Older Adults? Ten children got the gift of mobility on Friday at the University of Central Florida, when they rode away with their very own motorized child-sized car. GoBabyGo is a national effort to provide children without the ability to walk, a way to get around. The organization retrofits motorized toy cars for children with special needs. UCF has been working with the creator, University of Delaware professor Cole Galloway, and his nonprofit to bring the same opportunity to Central Florida. The College of Health and Public Affairs' Knights on the Go Café is the subject of a feature article in the latest issue of AmeriDisability magazine. Author Nancy DeVault wrote about the café -- an innovative food and beverage kiosk in the atrium of Health and Public Affairs I building that offers an immersive, rehabilitative experience for survivors of a traumatic brain injury -- for the January/February 2017 issue. 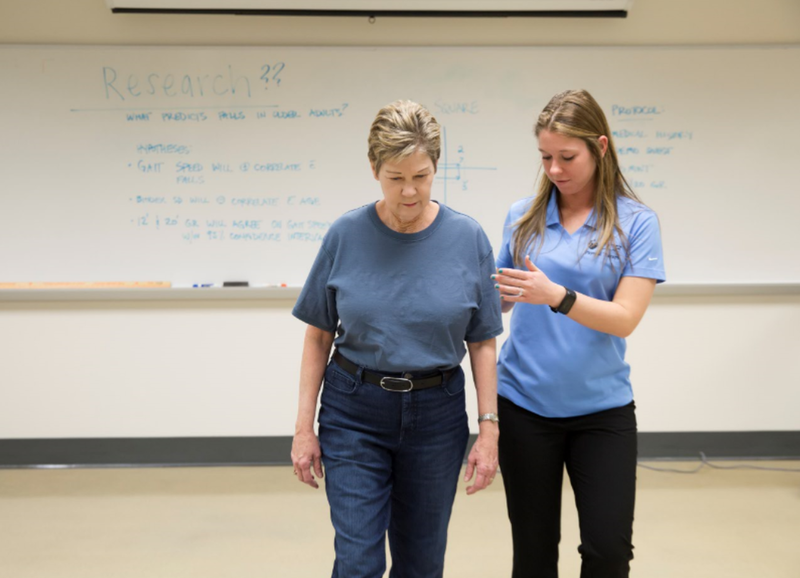 Devault interviewed café co-founder and physical therapy Lecturer Jennifer Tucker to learn about the café's development and its user and student beneficiaries, as well as Tucker's hopes for future. When Colin was born, Kelly and Brian were living in Kansas, where Kelly was a speech-language pathologist and Brian worked as an art director. Colin was diagnosed with albinism (a lack of pigment in the skin and hair) shortly after birth. But, as the days went by, Kelly and Brian noticed that “he had poor muscle tone and he was not holding his head up,” Kelly said. Genetic testing revealed that Colin also had Angelman syndrome. The Alzheimer’s Association, the Alzheimer’s Impact Movement (AIM) and its nationwide network of advocates applaud Congress for hearing their call and taking action in the fight to end Alzheimer’s. Today, a $400 million increase in Alzheimer’s research funding was signed into law, increasing federal funding at the National Institutes of Health (NIH) to nearly $1.4 billion. Scientists at a Canadian health center hope they can safely break through that protective biological wall to deliver effective drugs directly to the brain. Researchers are focusing on an important biological wall in the human body in their search for new treatments for Alzheimer’s disease. The scientists have started a clinical trial involving a half-dozen older adults to see if it's possible to safely pierce that protective shield known as the blood-brain barrier (BBB).